With top-rated offices spanning across two continents, Numata has been providing IT support, management, and consulting since 2004. Numata has changed the way we do IT by taking the everyday problems and annoyances out of the Directors hands, which has been a great move for us. 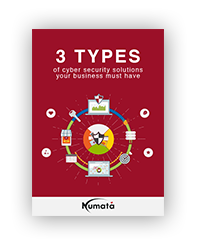 Numata provides outstanding IT support and maintenance characterized by quality, value for money and time efficiency. All the staff members in every department of Numata are professional individuals with a passion for IT and business. We would recommend Numata to any business. We have been with Numata Business IT since 2012 and we can only give compliments. They are very trustworthy and every employee that I had the pleasure of working with, is professional, friendly and will go the extra mile to assist you. It is very nice to have a service provider whose mission is to assist their clients in an efficient and quick manner. It is a pleasure working with them and I will gladly recommend them to anyone.